The first-ever Christopher Showhouse will not only showcase the work of Christopher Architecture and Interiors and its affiliates, it will be a chance to give back to the community. The Mountain Brook home showcases the design work of the firm while highlighting the vendors and suppliers with whom they have worked for years. “Our goal is to display the most beautiful designs, talented craftsman and quality products,” said firm officials. Throughout the tour, the home will play host to pop-up shops featuring local vendors and all the interior furnishings will be available for purchase. In addition to tipping their hat to their crew, Reebals thought it important to support a local charity with the money they raise. With a cousin currently battling leukemia, Reebals said the Open Hands and Overflowing Hearts organization, devoted to providing support for pediatric cancer research, was the obvious choice. “We have committed to raising $200,000 for the charity and 100 percent of that will go to Open Hands Overflowing Hearts,” Reebals said. 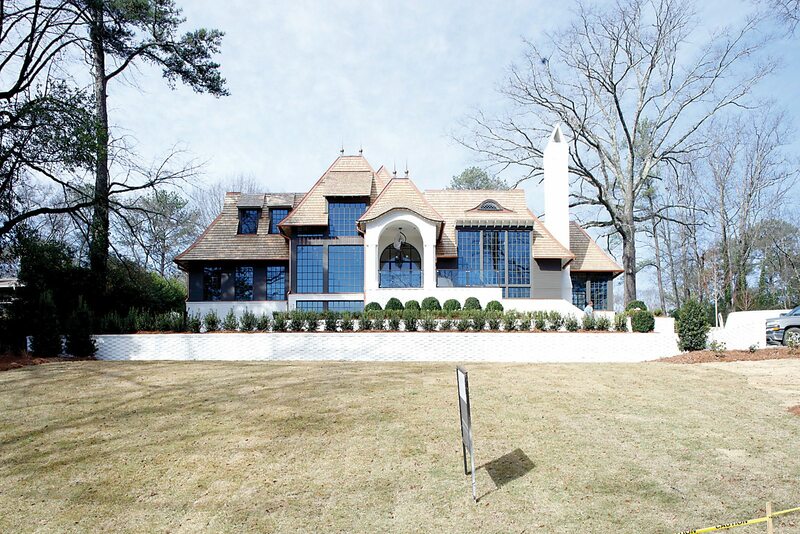 The Showhouse, at 3620 Ridgeview Lane, will be open Jan. 16-17, 21-24 and 28-31. Thursdays and Fridays during that period it will be open 10 a.m.-4 p.m., and Saturdays and Sundays it will be open 11 a.m.-6 p.m. There is no onsite parking, so the firm has organized a shuttle pick-up and drop-off service at two locations: Calton Hill, 3918 Montclair Road in Mountain Brook; and Erskine Ramsay Park, 3600 Montclair Road in Birmingham. Tickets will be sold online and at the door for $25. For more information, visit www.christopherai.com/showhouse or www.ohoh.org.